Fake news is fiction no matter how it is spun in print, online or via flash television adverts telling us how great the commercial fishing industry is at restraining themselves. At the same time, they are resisting cameras on boats because of privacy issues – yeah right. In contrast, when it comes to knowing what the recreational catch is, we are about to get some high quality national and regional data that we can trust from the latest, 2017-18 harvest survey. 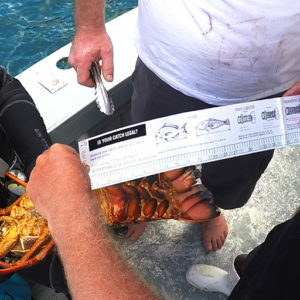 New Zealand’s harvest surveys are internationally recognised by experts for their robust methodology and high-quality results, so anyone spinning the chestnut of ‘we don’t know what recreational fishers catch’ is merely or conveniently sharing old news. In 2014 the Ministry for Primary Industries published the results of the 2011-12 National Panel Survey of recreational harvest. Large-scale surveys may not get enough data from some of the smaller, niche fisheries however, they are good at estimating harvest from the main fisheries. Nationally, the total estimate of annual recreational harvest was 17 million by number, with slightly more finfish (8.7M) taken than non-fish (8.3M) such as shellfish and crustaceans. Only 3.2% of total harvest was taken from charter operations. 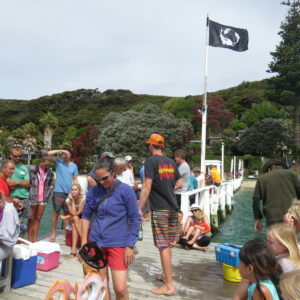 Concurrent to the large-scale survey, the NIWA boat ramp and overflight survey collected an independent estimate of recreational catch which corroborated the Panel Survey data in northeast New Zealand. NIWA was contracted to repeat this large-scale onsite survey in 2017-18. Survey results are highly anticipated as they contribute to management decisions. In many fisheries our problem is that recreational catch declines in depleted fisheries and inevitably when management action is needed lower bag limits and greater restrictions are put in place. However, when and if these depleted fisheries rebuild the heat goes on the Minister to increase commercial catch limits and maintain recreational controls at the lower limits. In essence, capping the public’s interest in a depleted fishery and then rebuilding it for commercial benefit. Twenty years ago option4 leader Paul Barnes called this tactic a one-way valve. It seems not much has changed since then. Recreational fishers, particularly land-based anglers, are denied access to abundant and legal sized fish because in a depleted fishery the fish inshore are small. This means our harvest diminishes, the surveys counts are low, and eventually the allowances are cut. 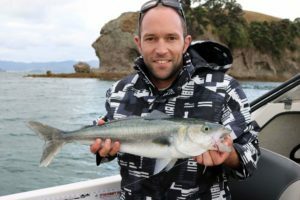 Most recently we have had east coast tarakihi stocks reviewed and overall recreational allowances slashed due to years of increased targeting by trawlers. This cutback has sparked the inevitable debate around recreational bag limit reductions, meantime trawling keeps ploughing through the stocks. 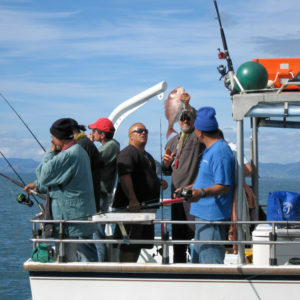 In the 2009 Kahawai Legal Challenge decision the Supreme Court ruled the Minister must set aside a “reasonable” allowance for recreational interests before setting commercial catch limits. Recreational interests reach beyond just our take-home catch. We have a keen interest in abundant fish stocks and a thriving marine environment encompassing target and non-target species. The greatest contribution to restoring our inshore fisheries comes from conservative Ministerial decisions and having realistic harvest estimates to inform decision-making. The Minister and all New Zealanders are fortunate we have such high-quality harvest data to counteract the fake news often circulated but rarely believed.